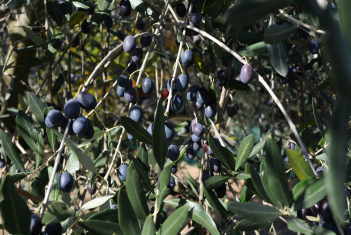 Extra Virgin olive oil is the protagonist of the gastronomic tradition in Umbria. Umbria was the first Italian region to receive the DOP designation for the entire territory. The Umbrian countryside is mainly represented by the expanse of olive trees that covers the hills, giving them a particular, charming silvery green color. At the end of November the hard work of the Olive harvest has been completed, and finally it is possible to taste the new olive oil. Thanks to the favorable environmental condition our olive oil has an intense green color and a unmistakable taste, but above all a low degree of acidity. Destinations: Italy, Umbria, Bevagna, Torgiano, Giano dell’Umbria, Deruta. Arrival at the country farm “La volpe e l’uva” (Central Italy, Umbria, near Tuscany) . Check-in your apartment at 4:00pm. Dinner reservations can be made at a restaurant of your choice. We can arrange transfers to and from the airport on request. Morning. Hands-on cooking lesson starts around 10:00 am. You will prepare a four course lunch. For lunch you will eat on your creations accompanied by our wine. Afternoon. Bevagna, the Roman “Mevania”, is a little fascinating gem that retains most Roman monuments in the Umbrian Valley. In the main Piazza, one of the finest medieval squares in Umbria, there are the two 12th century Romanesque churches, St. Michael and St. Silvestro. You will visit the village and the Antico Frantoio Nunzi. In the Tour we helps you to discover all the phases of the olive pressing process and the secrets for a good extra virgin olive oil. After seeing the machinery, you sit at a table and the tour guide will serve you different types of extra virgin olive oil of local production. Afternoon. You will visit a Ceramic Laboratory in Deruta where the majolicas are completely handmade. Deruta ceramics are a milestone in the history of Italian pottery. They gained worldwide fame during the Renaissance thanks to their creative and qualitative excellence. Their high quality products keeps the tradition alive and evokes the classic decorations of the various periods of Deruta. The production cycle is completely carried-out within the company and rigorously worked by hand in all its phases. Then you will have a wine tour in a the famous Lungarotti winery and a visit in the near Olive and Oil Museum located in a small group of medieval houses . Afternoon. 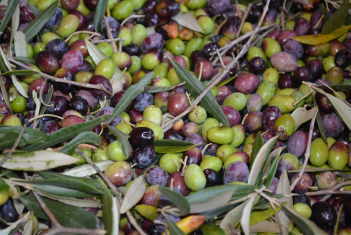 In November Spello celebrates olive oil in an amazing festival. There are stands of roasted chestnuts and new, roving bands of musicians, and best of all, a parade. 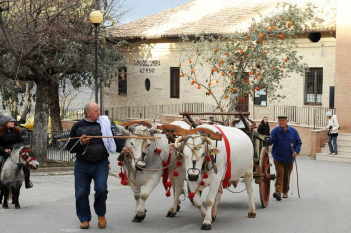 A parade of floats, each with an olive tree festooned with items meaningful to the growers harvest. Along with the decorated tree, some floats have schoolchildren singing harvest songs that go back generations. And before the parade begins, at the top of Spello you can find old men standing in a circle singing bawdy songs, people grilling sausages, and people at tables eager to hand you a sample of fabulous foods based on old Umbrian recipes. It’s a festival you’ll never forget.